We've partnered with Phoenixville Women's Outreach: The House to Paint for a Purpose! Join us Sunday, January 20th from 3-5 pm for a nice afternoon of fun, fellowship and fundraising - all while painting a beautiful canvas to take home or gift to a friend! For just $40, you get all the materials to paint and an instructor showing you step-by-step how to make the artwork. No experience necessary! 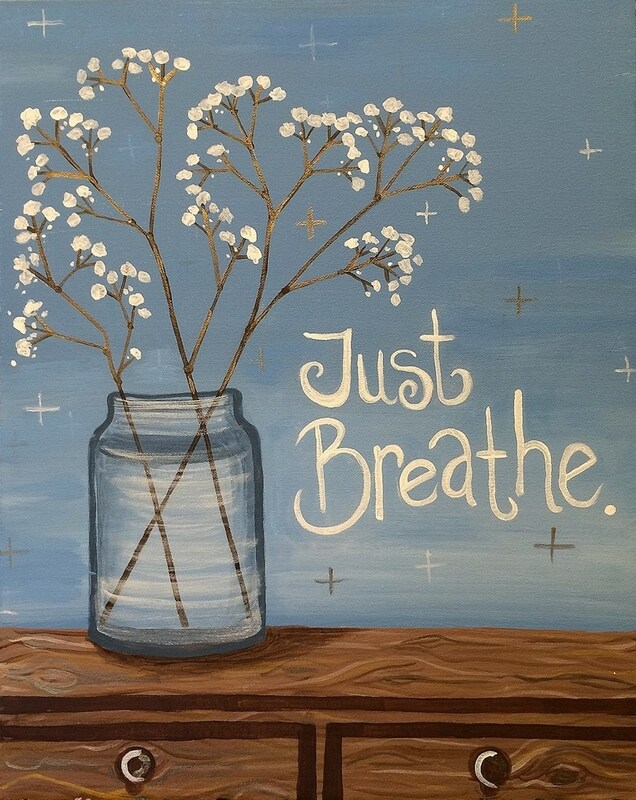 We will be painting "Just Breathe". It is a great reminder. The words can be personalized to say your favorite quote, your family name or anything at all! There will be refreshments for all and fun raffle baskets you could win - all to support a great cause! You are also invited to BYOB.